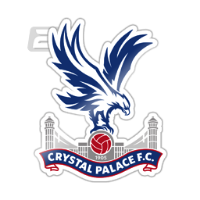 Goals from Milivojeic and Schlupp ensured the Eagles claimed the three points in an all London derby. Luka Milivojevic’s first-half penalty and Jeffrey Schlupp’s late second-half tap in was all it took for Crystal Palace to seal the three points against London rivals Fulham, who slip further away from safety. Palace controlled the majority of the game, and this dominance reflects in the scoreline. The Eagles found it easy to exploit the Cottagers and find areas to take advantage of as Roy Hodgson’s side climbed to seven points clear of the relegation zone. Palace dominated the early stages of the game in possession, but Fulham proved the more dangerous side. Aleksandar Mitrovic was a handful for the Eagles as his strength and special awareness caused problems all match, but Vincente Guaita’s goal remained untested in the first 20 minutes. 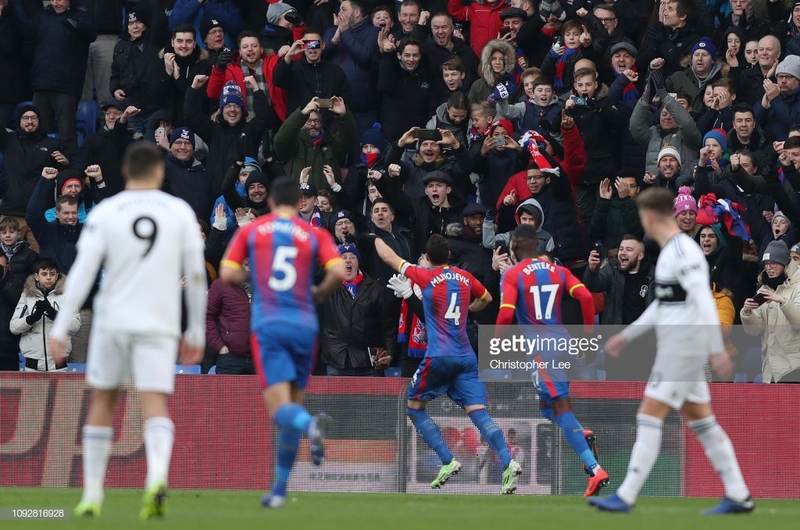 However, it was the hosts that would take the lead as a penalty was awarded to Palace 25 minutes in after Cyrus Christie handled the ball in the area, resulting in referee Michael Olivier pointing to the spot. Regular Palace penalty taker Milivojevic stepped up and fired past Sergio Rico with a vicious strike from the spot to give the hosts the lead. Christian Benteke almost made it 2-0 when Andros Townsend glided into the area and picked out the towering striker, but the Belgian striker’s audacious bicycle kick crashed off the crossbar going into halftime. Fulham kicked off the second half with a lot more intent and desire. Introducing Luciano Vietto for Tim Ream allowed Claudio Ranieri’s side to attack with more pace and quality, but Palace’s defence held firm. Townsend yet again caused problems for the Fulham defence as the second half progressed, but the Englishman couldn’t create anything too dangerous that Rico couldn’t handle. Deadline day signing Michy Batshuayi made his debut for Palace with 10 minutes, and the Chelsea loanee made an instant impact as the striker’s shot in the 89th minute was parried by Rico, but his save fell straight to Schlupp, who had an easy tap in to make it 2-0 to the hosts, and to seal the three points for the hosts. 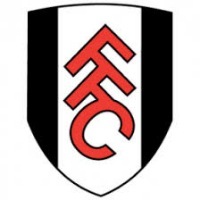 There’s no question that Mitrovic is Fulham’s most dangerous player, but the Cottagers are falling into the trap of being too reliant on the big Serb. Mitrovic was a threat to Palace’s defence for most of the game, but Fulham needed more than the former Newcastle striker to make any kind of dent in the Eagles’ back four. Delivering in the big games is what separates the good players from the great ones, and for Townsend, his problem is the exact opposite. The former Newcastle United winger’s reputation of performing against the big teams is impressive, but the Palace #10 needs to step up in the games against smaller teams. And today, he did just that. Townsend was impressive from the first whistle onwards and was Palace’s main creative focal point for the full 90.